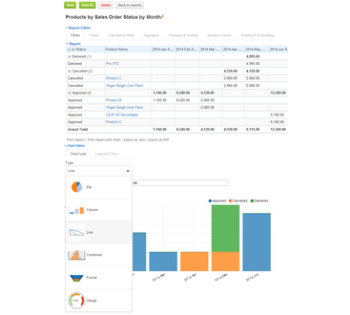 Analytic Reporting Tool SugarCRM, Inc. 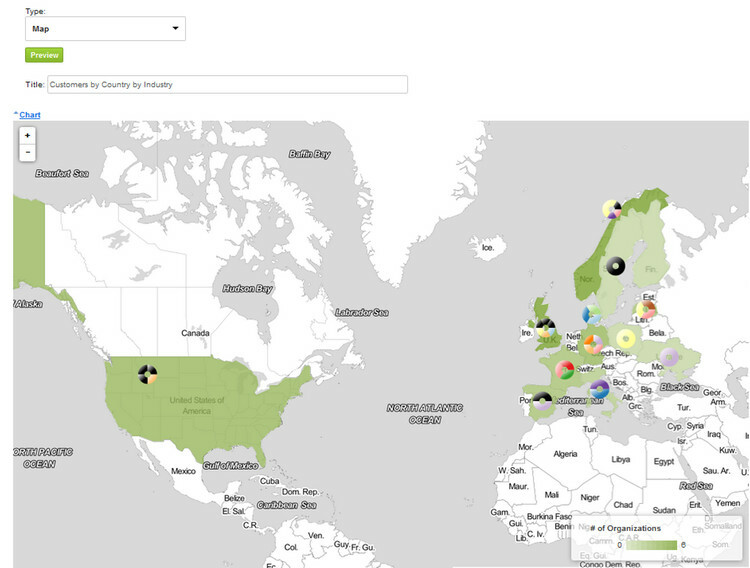 Powerful Reporting Tool with Dynamic Reports and Interactive Charts. 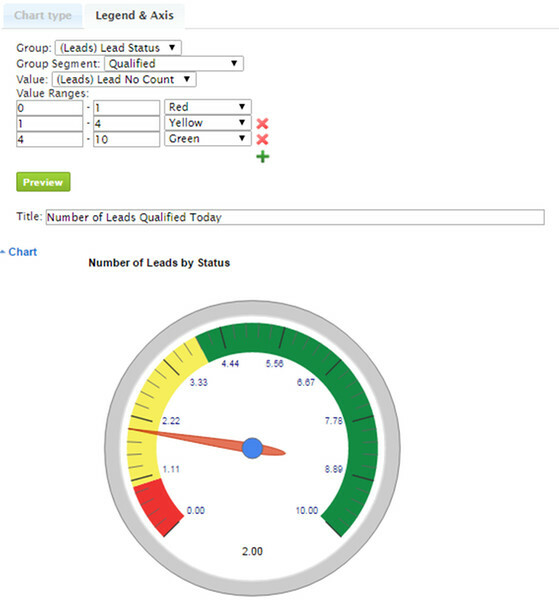 Easy to play among various chart types, detailed, summary and pivot tables. You can easily modify your reports and charts and view data in various dimensions, use extensive filters, sorting and grouping criteria. Analyze your business trends over the time by comparing sales results by the end of each month using snapshot reports (using historical data from the change log). Track the time spent on each Sales Stage to identify and improve the steps needed for closing important deals. 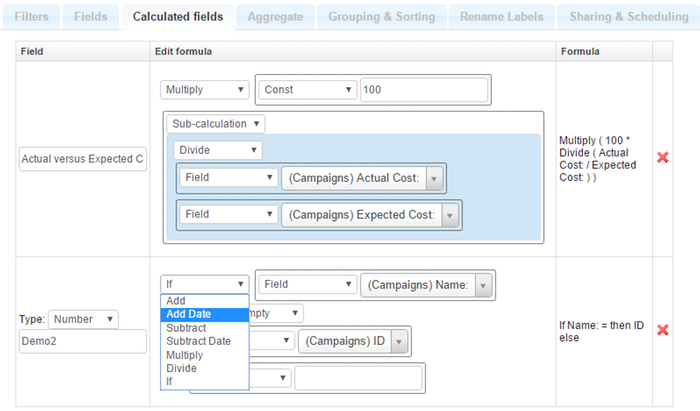 Add data ranges to your reports and calculate your own functions to set deadlines or sales targets. You can access and relate any modules (incl. Custom modules, Change log); Set own permissions: for data, filters and reports. 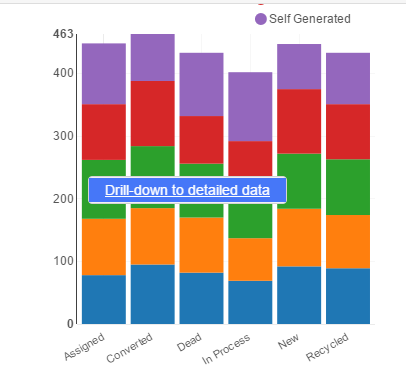 You can drill-down to detailed data by a click to the chart area. Also you can switch from summary report view to the detailed just by couple of mouse clicks. You can calculate your own function from the source field values and/or constants to be added to the report. 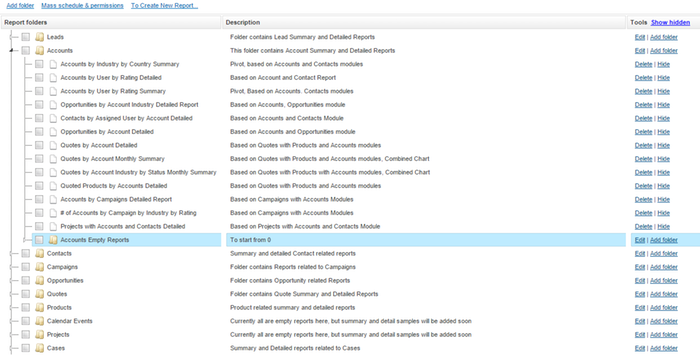 Analytic Reporting Tool has more than 100 pre-defined report templates which are organized in Folder Tree by areas. 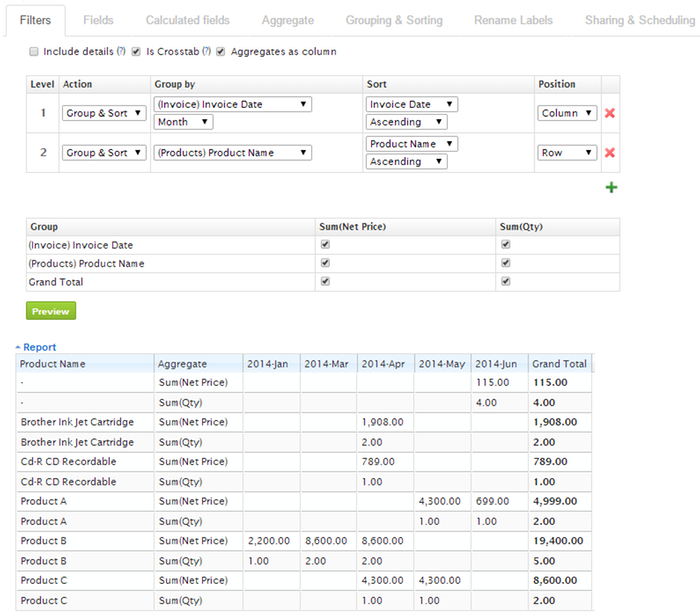 Pre-defined reports save you a lot of time and complexity for new report creation. By looking at the report title and description you will be able quickly to find report according to your needs. Modify only few things, if needed, and save copy as your new report. 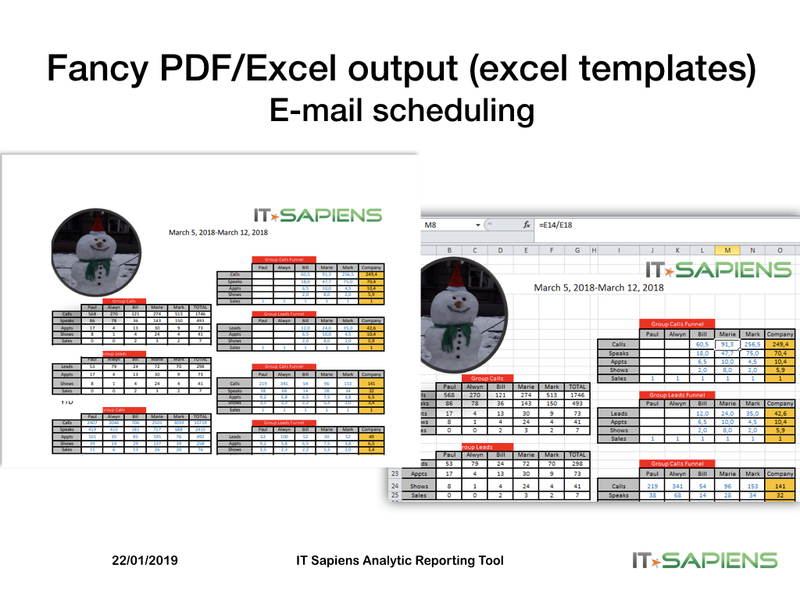 You can schedule the report to be sent for selected users via e-mail in pdf, xlsx format (as attachment) and/or as link to the report: daily, weekly, bi-weekly, monthly or yearly. Run-time filters. Manual e-mail address can be added. 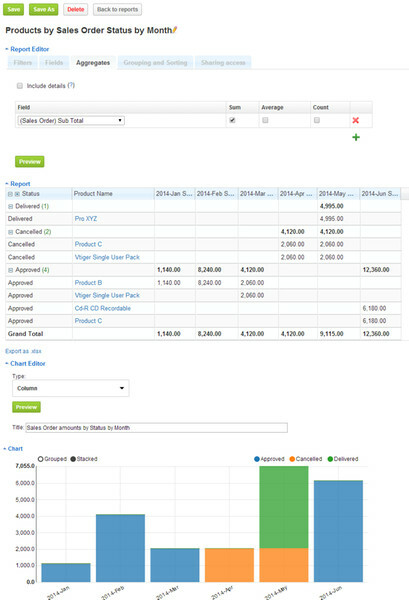 User friendly interface makes it easy to create new report/chart or change the existing report/chart content and layout. With Analytic Reporting Tool it is easy to switch from summary to detailed view and change number of levels, or order of the report dimensions. 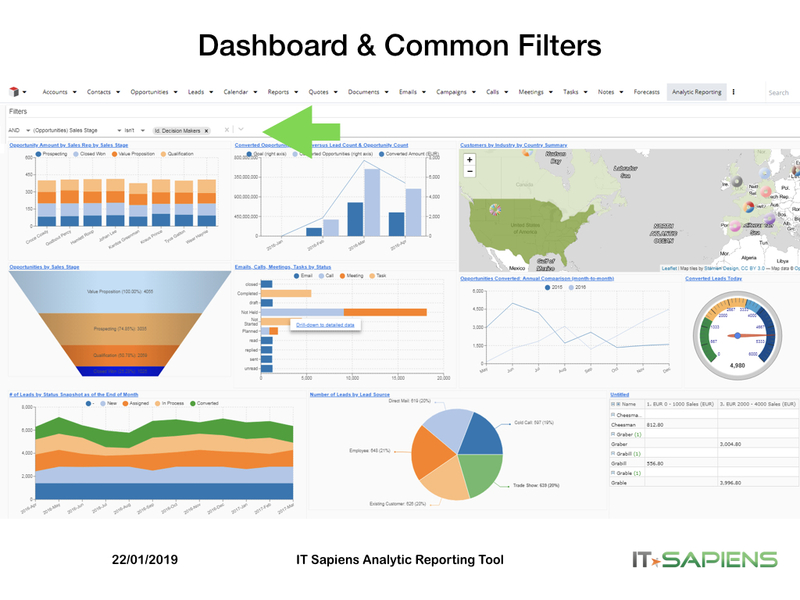 You can create your own complex and fancy reports and charts without deep knowledge in the IT area. Since this is Sugar plugin, it is part of your Sugar system - same as other SugarCRM modules. Module installation is easy - you can simply upload it via Module Loader in Sugar Administration panel.